We are committed to enhancing the lives of our residents, whether they need short-term rehabilitation, traditional long-term support or specialized memory care. At Laurel Ridge, we recognize that the difference is in the details and we invest as much time and energy in our setting as we do in the care we provide. Our mission is to provide a bridge between inpatient care and home for our short-term residents and to achieve and maintain the highest possible level of functioning for each of our long-term residents. Let our qualified team of professionals help your loved one recover from surgery, injury or serious illness. 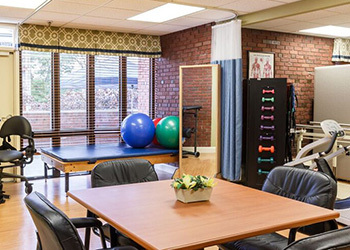 We understand the importance of creating a comfortable and nurturing atmosphere, whether resident’s stay is for short-term rehabilitation or long-term care. Situated in the heart of Jamaica Plain minutes away from downtown Boston and area hospitals. Our center is pleased to serve the Boston, Mission Hill, Dorchester, Mattapan, Roxbury, West Roxbury, Roslindale, Brookline, Hyde Park communities and beyond. Visitors are welcome every day of the week. Come see our setting and friendly staff in action. 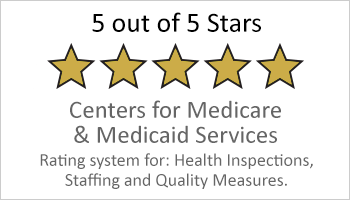 Feel free to contact us to learn more about the Center’s renovated setting, Veteran contracted status, comprehensive programming, and personalized care.